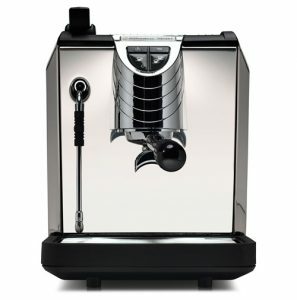 Currently viewing the category: "Espresso Machines Under $100"
Nespresso Essenza vs. Inissia: Is There a Difference and Which Should You Buy? 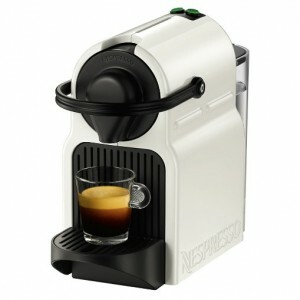 Nespresso has recently introduced the Inissia compact espresso machine as an affordable under $100 single-serve machine. But before the Inissia came, there was the Essenza, which was also as compact and affordable. In this post, we’ll talk about these two options from Nespresso and if there’s any difference between them. Inissia vs. Essenza: Is There Any Difference? Like we’ve just mentioned, both the Inissia and Essenza have been introduced by Nespresso as a compact and affordable alternative to their Original Line of espresso machines. Basically, both machines are equipped with similar features. The design has been revamped and is now much better as the Inissia machine appears to be. Capsule drawer holds up to 11 used capsules. As you can see, the Inissia features a much better and more modern design while the Essenza looks quite outdated in comparison. The Inissia features a nice handle that makes capsule piercing and ejection much easier. 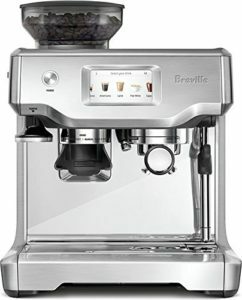 The brewing buttons have been moved to the top of the machine where it’s easier to operate, and it’s available in four colors instead of black only as the Essenza. 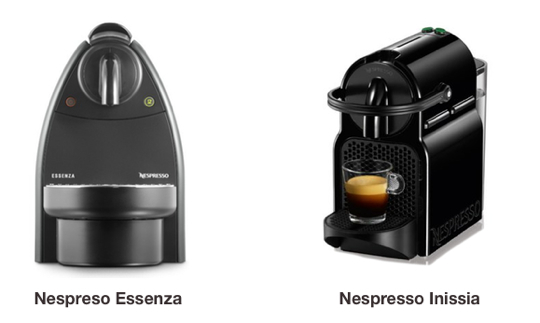 Why Is The Inissia and Essenza Less Expensive Than Other Nespresso Machine? Do I Get The Same Quality of Coffee? The Essenza has one brewing button, which you have to press and keep on pressing until you have your desired amount of coffee. 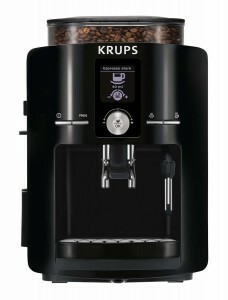 The Inissia features automatic volume control, you only have to press the button once and it will automatically brew it. You’ll also have the option to adjust the volume. Click here for a full comparison between the Inissia and Pixie, CitiZ and U. What Should I Buy? 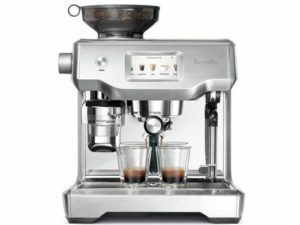 The Innissia or Essenza Espresso Maker? I don’t see why you would want to buy the Essenza, especially that they’re both at the same price. The Inissia is definitely the machine to go for. It’s up-to-date design and features wise, and it’s been receiving highly rated reviews from customers. 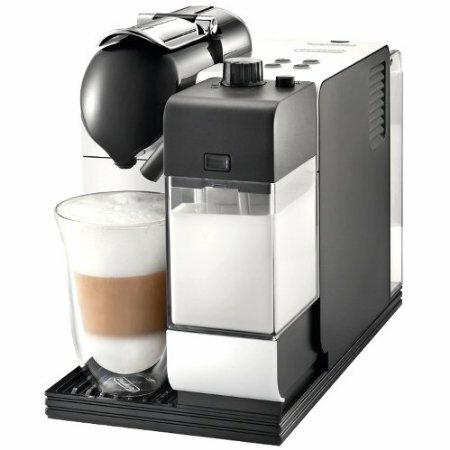 Where Can I Buy The Nespresso Inissia From? 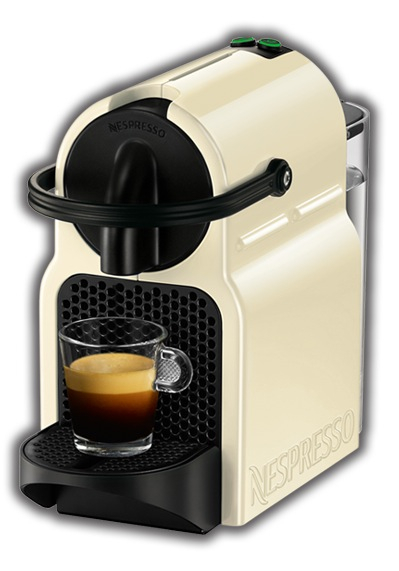 You can buy it directly from Nespresso or from Amazon. 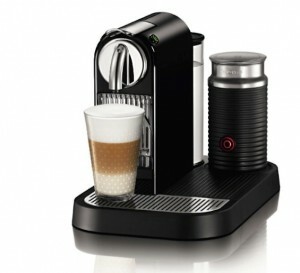 Can I Make Cappuccinos, Lattes and Other Gourmet Coffee Drinks with the Nespresso Inissia? Yes, you can! However, you’ll need to bundle it with a milk frother. Now this can be Nespresso’s Aeroccino milk frother or any other milk frother you like. It’s just important to know that the Inissia does not froth milk on its own so you’ll need something to froth your milk with. Have a look at our suggested milk frothers here. Or Click here to see the available bundles on Amazon. Do I Get Sample Nespresso Capsules With the Inissia? Yes, you’ll get a starter pack with 1 capsules of each Nespresso capsule available. Where Can I Buy Nespresso Capsules From? Nespresso Inissia vs. Pixie vs. CitiZ – Which Do You Choose? 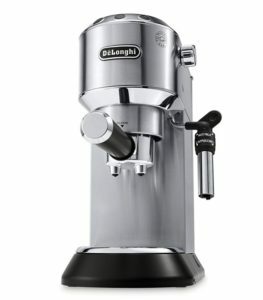 The new Nespresso Inissia is by far the most affordable Nespresso machine for around $100 or under (price correct as of the writing of the post). 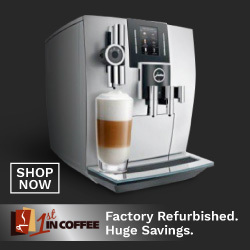 If you’ve been wanting to get yourself a Nespresso machine but was not quite ready to pay over $200 for it, this is your chance to experience the luxury of Nespresso for way less. 19 bar pressure pump espresso machine. Two programmable Espresso and Lungo buttons. Removable drip tray to accommodate tall cups. Used capsule drawer holds up to 9 or 11 capsules. Click here to learn more about the Inissia, read the customer reviews or buy it. 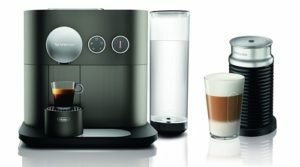 How Is The Nespresso Inissia Different Than Pixie, U or CitiZ? So far, the Nespresso Inissia sounds like any other Nespresso machine. Then why are they priced so differently? The Pixie is the only Nespresso machine made in Switzerland. The Inissia is made of plastic, that includes the machine’s body and drip tray, where the Pixie, while it does have few plastic parts, it’s mostly made of aluminum which is more durable. The Inissia does NOT have an on/off button. 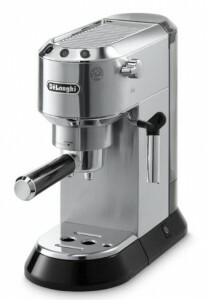 To operate the machine: plug it in, wait for the espresso/lungo buttons to stop blinking and it will be ready to use. The Pixie features an LED backlight which is also an indicator that lets you know when you need to refill the water tank. Learn more about the Nespresso Pixie, how it works and how it compares to the Nespresso machine by Clicking here. Inissia vs. Citiz: Are They Different? They are indeed! 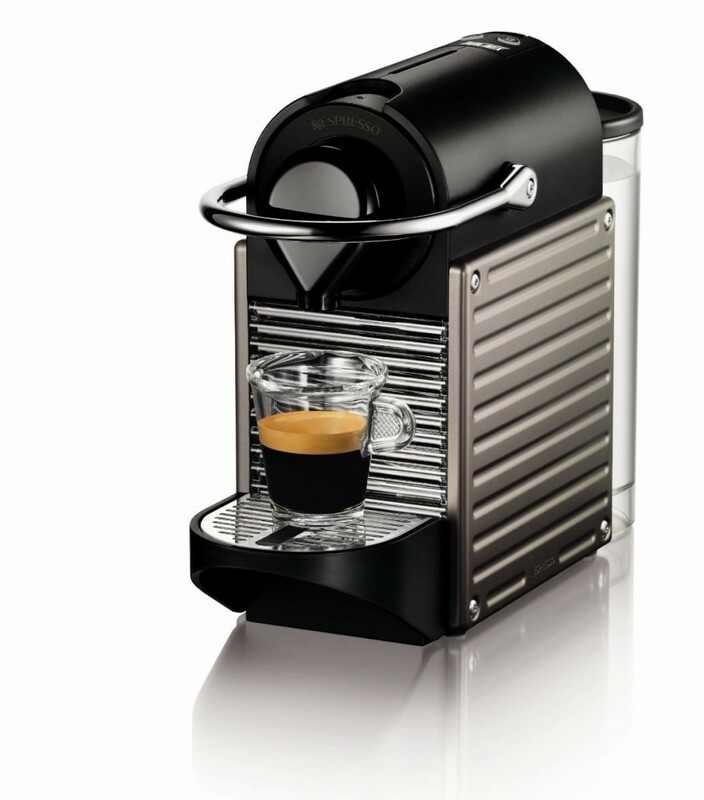 The CitiZ is the largest Nespresso machine, it has the largest water tank (34 ounces) of all Nespresso machines. It comes with a built-in milk frother or as a stand-alone machine. Like the Pixie, the Citiz has a more durable body with metal parts. It also has the same LED backlight indicator. So it’s different than the Inissia in the same way. Click here to learn more about the Nespresso CitiZ. It has 3 buttons: Espresso, Lungo and Ristretto. All automatically adjustable as well as re-programmable. It automatically memorizes your favorite customization. It automatically recognizes your most frequent customization as soon as you close the lever. Its water tank is removable and it rotates 180-degrees to it can be adjusted to your available space. 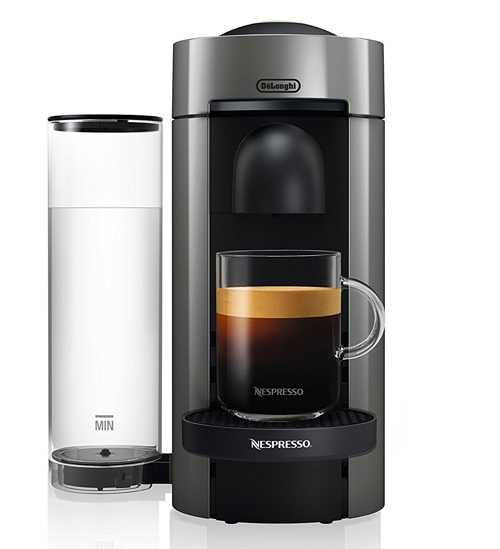 Click here to learn more about the Nespresso U. So, Should You Get the Nespresso Inissia or Another Nespresso Machine? As a truly affordable Nesprseso machine, the Inissia is quite great. It’s amazing that it can bring such features for this low of a price. As for the features you’re giving up, you have to think of how you’re going to use the machine to see if you can give up on them to save on the price. When it comes to capsules, the Inissia, U, Pixie or Citiz all use the same capsules, so you’re getting the same quality of coffee. The only thing, I believe, that could bring the quality down, is if you set up your coffee volumes on the Inissia incorrectly that it could be watered down. But of course, you can always re-program the buttons again, so it’ll be a matter of testing. 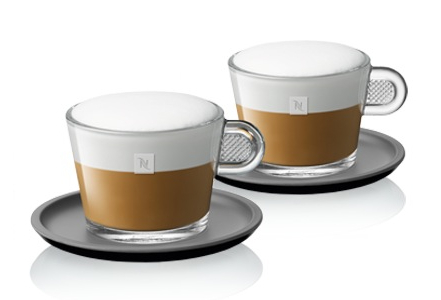 Where Can I Buy the Nespresso Inissia? 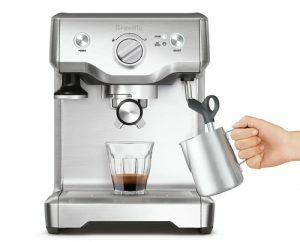 You can buy the Inissia from Amazon.com or Nespresso.com. 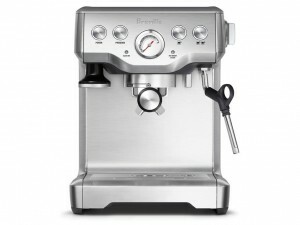 You’ll also find some machine/Aeroccino frother bundles available. Where Can I Buy Nespresso Capsules for The Inissia? They’re available online at Nespresso, Amazon or locally at Nespresso boutiques worldwide. 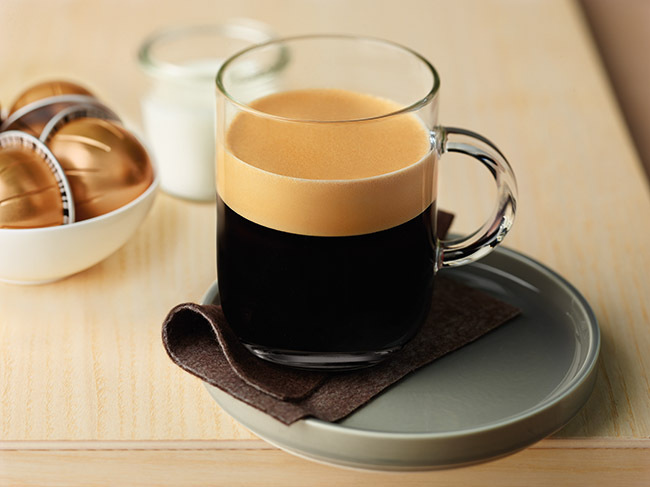 Click here to learn more about Nespresso Capsules. 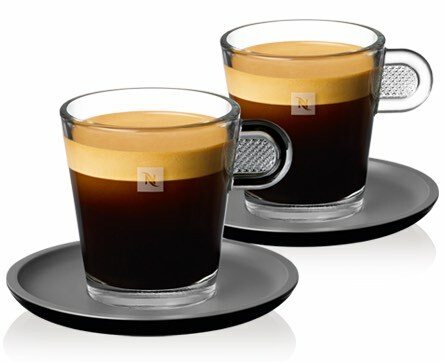 Is There a Difference Between Nespresso Inissia and Essenza? Nespresso Inissia vs. Essenza: What Is The Difference? 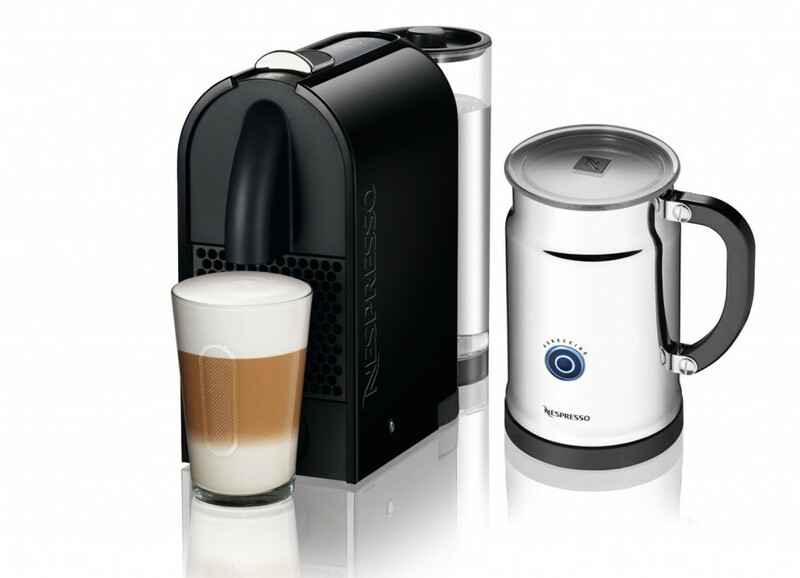 Can You Make Cappuccino or Latte With the Nespresso Inissia? On its own, the machine does not froth milk, but only makes espresso. If you want to make Cappuccino, Latte or any other milk based drink, you’ll have to bundle it with a milk frother. 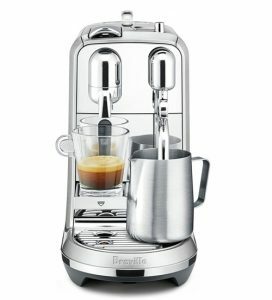 What Should I Buy With My Nespresso Machine? 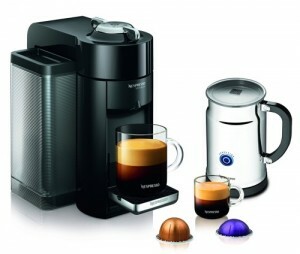 Have a look at our recommended Nespresso Accessories here. Do I Receive Nespresso Capsules With My Inissia? Yes, you do. You receive a starter pack which includes 1 of each flavor they have. Can The Nespresso Capsule Be Used More Than Once? No, it can’t. Each capsule can be used once only. DecoBros Crystal Tempered Glass Nespresso Pod Storage: the most elegant way to organize your Nespresso pods and keep them at hand. It holds up to 42 capsules, and the tempered glass is tough enough for your machine to sit on it. If you’d prefer a different design, see all suggested pod organizers here. Click here to learn more about this organizer, read the customer reviews and buy it. If you want to use a refillable Nespresso capsule then Sealpod is the only way to go, it is the best rated. The pack includes two stainless steel pod that you can use with your Inissia or any OriginalLine Nespresso machine. Click here to learn more about SealPod, read the customer reviews and buy it. Double wall glasses are the coolest way to enjoy your cup of coffee. Seeing your favorite drink suspended is simply fun. But not only that, having double-wall is also great for keeping temperature of the drink longer and it eliminates condensation if you’re having a cold drink. 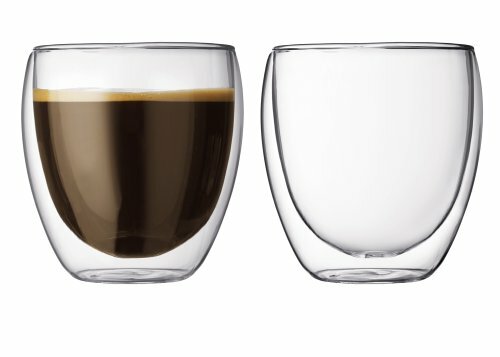 These glasses by Bodum are available in sizes for espresso, cappuccino and tall glasses for latte. They’re also available in different shapes. Click here to learn more about Bodum Pavina, read the customer reviews and buy it. 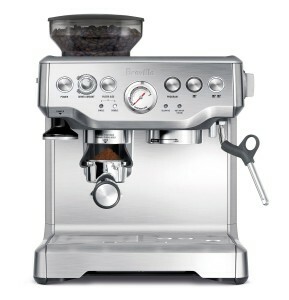 Thought $100 or less couldn’t get you an espresso machine? Think again! 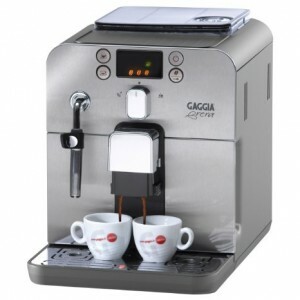 There are many small yet functional espresso machines that are quite budget friendly. So if that’s your budget, have a look at these top-rated espresso machines for $100 or less. 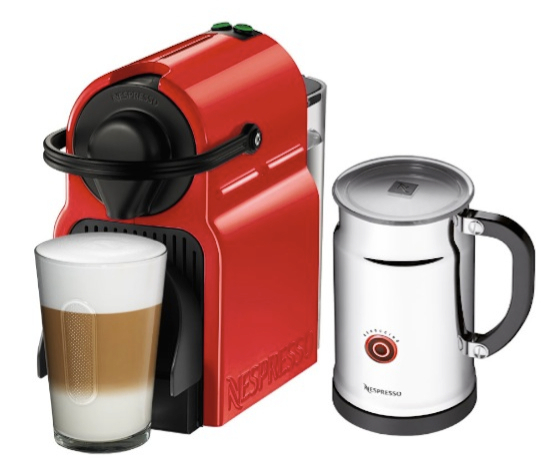 If you’re into the world of single-serve espresso machines, you’ll appreciate this compact espresso maker from Nespresso. For under $100, you’ll get a 19-bar pressure espresso maker with 0.9 liter water tank. It uses Nespresso’s capsules exclusively, but there’s an (unofficial) option for a re-fillable Nespresso capsules that you can use to brew any coffee ground. 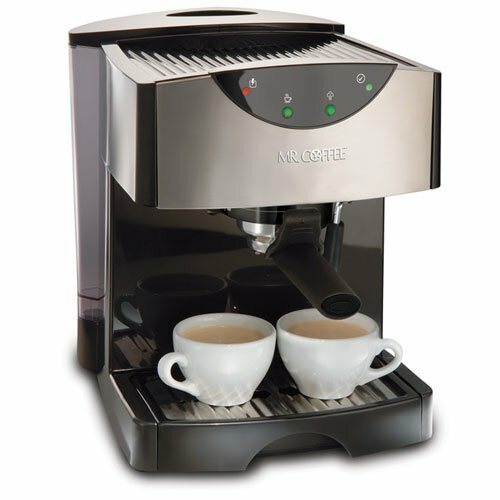 The machine automatically pierces and ejects the coffee capsules to a drawer that holds up to 14 capsules before having to discard. Unlike other Nespresso machines, this one has only one size option button, but it is reprogrammable. 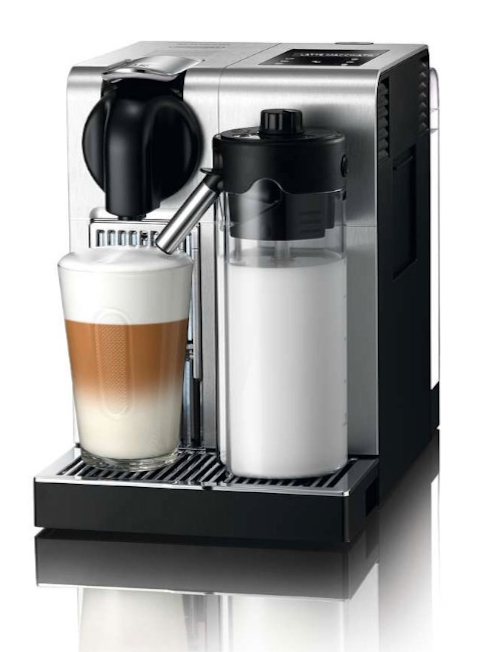 And if you want to make Cappuccinos or Lattes, you’ll have to bundle the machine with an electric milk frother. 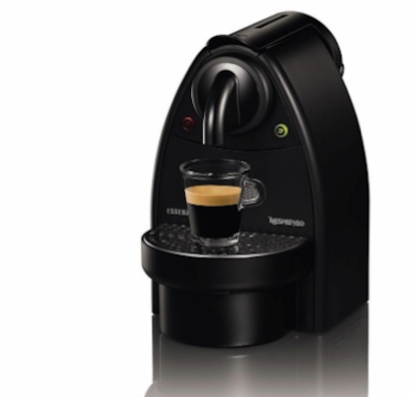 Click here to read the customer reviews of the Nespresso Essenza C91. NOTE: A new upgraded model has been introduced in place of the Essenza (although it’s still available). 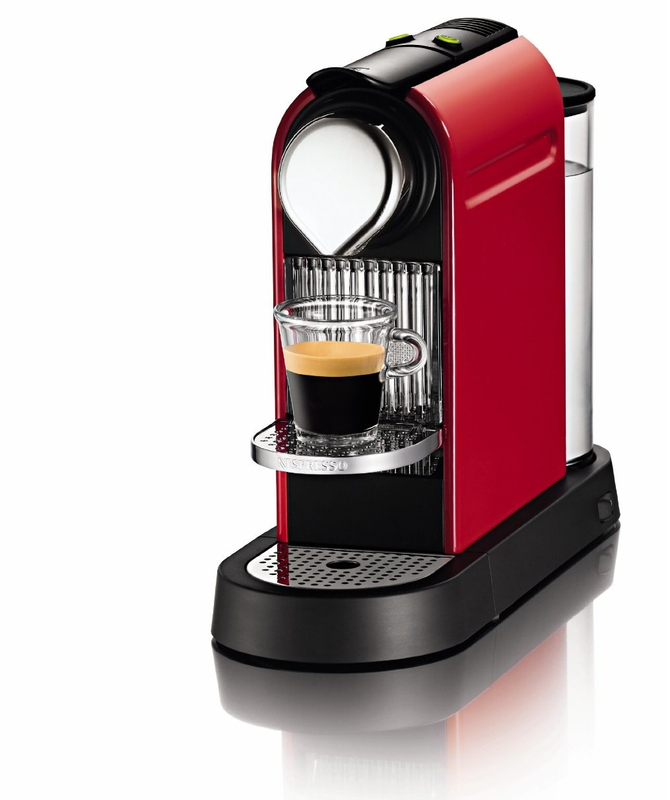 It’s called the Nespresso Essenza Mini and you can read about it here. This Hamilton Beach espresso maker is a great pick for beginners who are looking for a simple and compact machine to make their espresso. 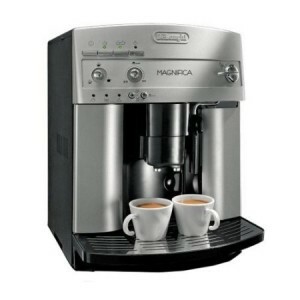 The machine features a 15-bar pressure pump, which is a standard for most espresso machines. You can make a single or a double shot at the same time, and you can make your milk froth using the steam wand. A removable water reservoir has 40 oz capacity, which is enough for a few shots before having to refill. 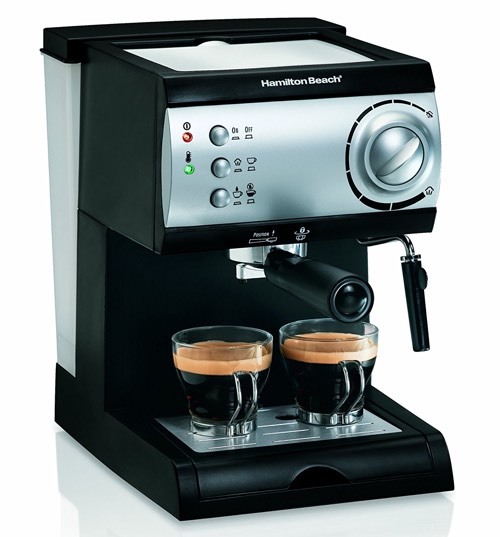 Click here to learn more about Hamilton Beach espresso maker, read the customer reviews and buy it. This Mr. Coffee espresso and cappuccino maker is equipped with everything you need to make a decent shot of espresso or a cup of cappuccino. A very close match to the DeLonghi machine, it has a single or double filter, a frothing wand, removable water tank as well as light indicators. Many customers have mentioned that it heats up very quickly, so it’ll be ready to use in no time. Click here to read the customer reviews of this machine. Prices, or budget indicated is valid as of the time of writing the post. Prices may change without notice. Kindly visit ‘Learn More’ links provided above to see the latest prices.